Samina Kanwal Balochi Folk Music Singer. 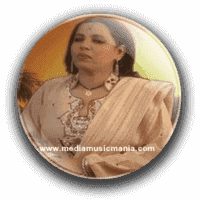 She is great Sindhi and Balochi Music Artist and she created good name in Sindh Music and Baluchi Music. She is very popular with Sindhi Folk Music, Sindhi Classical Music, Balochi Classical Music, Sindhi Sehra and other local Sindhi cultural songs. She is famous singer of local area persons, she is called as versatile singer of Sindh, and Balochistan her great styles songs is very popular in young and old generation. She sung poetry of most popular Sindhi poets such as Sindhi Kalam, Sindhi Kafi, Sindhi Sufi Music, Sindhi Lok Geet, Sehra in Marriage Ceremonies. Sindhi peoples like to listen her great songs time to time in different programs, Marriage ceremonies and other Festivals. Her sweet sound attractive the hearts and now every time her songs played in the streets, Shops, Hotels and Vehicles. Samina Kanwal belonging to Sindh. She is very popular on Sindhi Local TV Channels and Pakistan Television and Radio Pakistan. She has sung great Sindhi Sehra, Lok Geet in open Mehfils in Sindh and Balochistan. She has sung in different languages Urdu, Saraiki, Balochi, Sindhi Punjabi and other languages. She is very popular due to his own style and she is master of Classical Mousiqui in Sindhi dialect. I have selected most popular Music of Samina Kanwal.